John Cobb joins us this week for a fun and fascinating conversation on the incarnation, Christology, consumerism, philosophy, and advent. 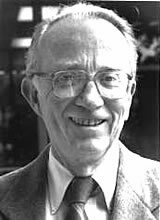 Cobb is one of the premier theologians of the 20th century with interests ranging from Christology to sustainable economies. He is the most noted voice in Process theology and is invested in articulating a constructive postmodernism for the church. This conversation continues what we started last week with Leron Shults, so hopefully you will enjoy both episodes and find a friend for a good Homebrewed conversation on the incarnation this season. – If you have a question for John Cobb, send it to him. – A good summary of his theology. – Find out more about Process Theology here.